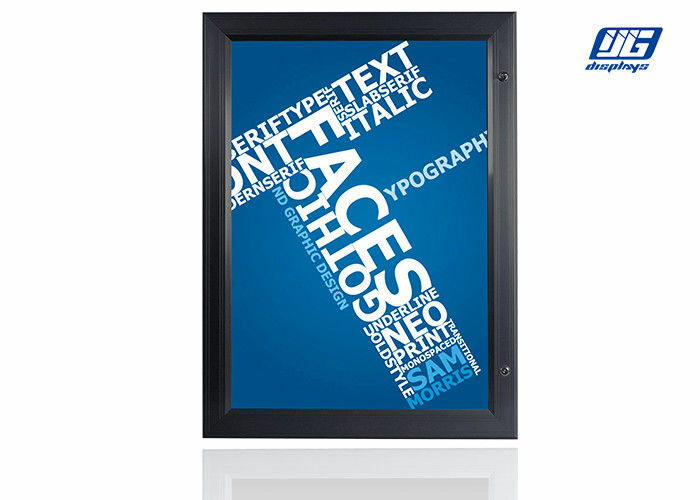 ① Lockable hinged door frame for indoor or outdoor advertising. ② Good waterproof performance reaching IP45. ③ LM80 listed LEDs with 50000 hours lifetime. ⑤ Available for vertical and horizontal installation. ⑥ The frame color is black. ⑦ Design for A0 size:1294x946mm. ①The YGW42 A0 Black Hinged Waterproof LED Lockable Light Box can be packed with corrugated box or honeycomb box according to different shipping needs.If there is specific requiry about the packing such as wooden case,we also can design for the packing according to your requiry. Over-10-year expericence are in accord with your assurance and recognition of our high quality YGW42 A0 Black Hinged Waterproof LED Lockable Light Box.